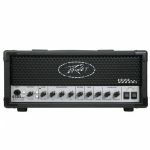 Described as ‘the uncontested sound of metal’, the Peavey 6505 was released in 2004 to celebrate their 40th anniversary as a resign of the iconic 5150 range of amplifiers. 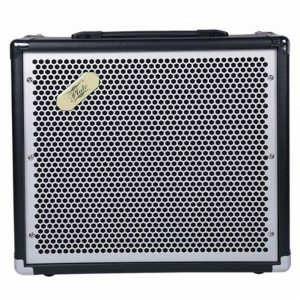 Made famous by the legendary Eddie Van Halen, the 5150 helped to establish Peavey as a leader in the world of high octane guitar amplifiers. The 6505 builds on that success by offering players the power and tone required to dominate any stage, in any arena. 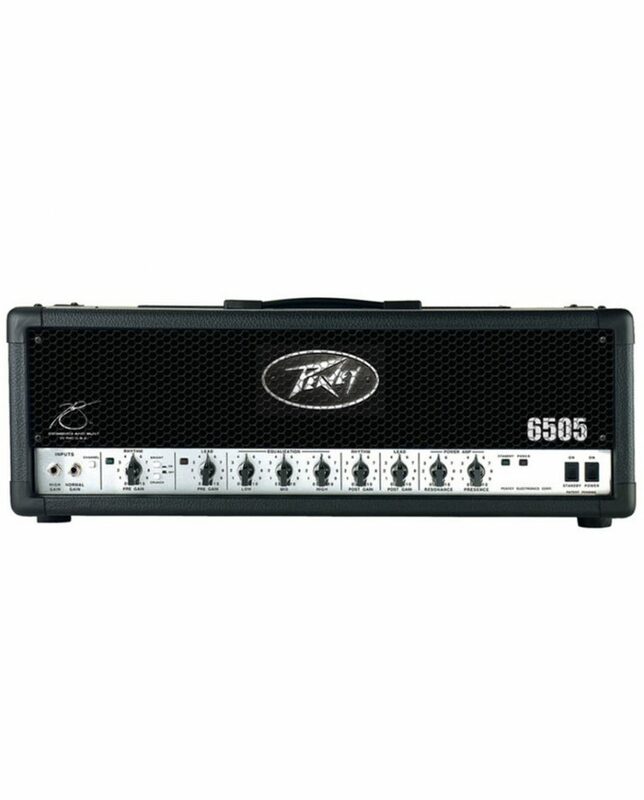 To truly experience one of the most iconic tones in metal, the Peavey 6505 head is perfectly matched with the 6505 speaker cabinet. Metal never dies. Whenever it seems that the genre has been taken to the limit, a new generation comes along and redefines “heavy.” The sound of modern metal sets a new standard for brutality and aggression, and to realize this sound, the bands that have led the modern metal movement for the last two decades have turned to the only amplifier up to the task: the Peavey 6505 Series. Primed by up to six 12AX7 preamp tubes and driven by four 6L6GC power tubes, the 6505 guitar amplifier delivers the tone and high gain power that modern players demand. Plugging into the high gain input doubles the input gain for devastating overdriven tones. On top of that, you can create a second ‘lead’ tone by engaging the Crunch option on the rhythm channel. In the master section you will find the patented Resonance and Presence controls. Resonance acts as a low-frequency boost, while Presence acts as a high-frequency boost, both allowing you to sculpt your tone. All of this tonal power is housed in an exterior that is built for the rigors of the road. Pluto E-40DFX Electric Guitar Amplifier is a steal! It provides rich, full sound projection and delivers a crisp, quality sound. 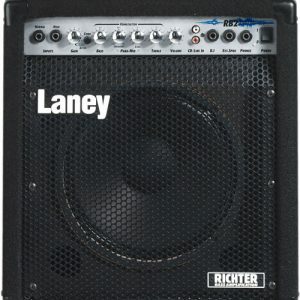 Best Quality Entry Level Bass Amp. The best value available anywhere for an entry level Electric Guitar Amplifier and Ideal for the beginner and great for a seasoned player that needs a Bass Amplifier to practice or for a Gig Performance. 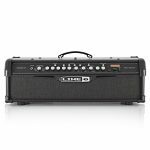 The Line 6 Spider IV 30 Guitar Combo Amp is hugely popular with many types of guitarists due to its versatile range of amp models and rock tones that all guitarists need in their collection. 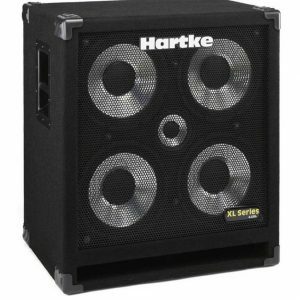 Equipped with a 12″ custom Celestion speaker that offers 30 watts of sheer power, the Line 6 Spider packs a lot of punch for its deceivingly small size. As well as offering a great tone, this amp also features 12 amp models for a versatile performance, including green and red, clean, twang, blues and many more. Additional features includes 7 smart effects, 4 user programmable channels, built-in tuner, and free acces to Spider online. 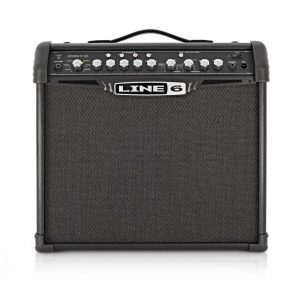 With all these fantastic features, the Line 6 Spider IV 30 Guitar Combo provides the perfect beginner amp to get you going, at an affordable price. The RB2 is a 30 Watt RMS kickback design bass combo, loaded with a custom-designed 10″ driver & horn. Suitable for the bedroom, recording or rehearsal. Richter is a well-established, highly-acclaimed range of solid-state bass amplifiers with something to suit every bass player. Whatever your requirements the Richter range delivers the bass.